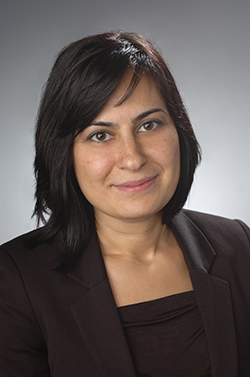 Child and family studies Ph.D. student Elif Dede Yildirim, working with Jaipaul Roopnarine, the Jack Reilly Endowed Professor of Child and Family Studies, has received a $100,000 grant from the U.S. Department of Health and Human Services’ Administration for Children and Families. 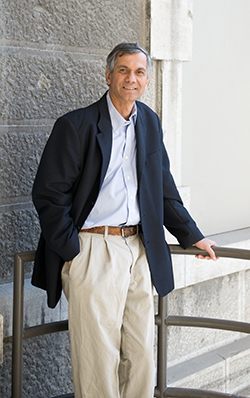 The research project, “Paternal Factors and Childhood Outcomes: The Mediating Role of Relationship Quality and Support Networks,” offers great promise for state and local agencies that focus on preventing developmental risks to children that are attributed to challenging home and neighborhood environments. Several initiatives at the federal, state and local levels have identified fathers as important figures in combating poverty, reducing the lost developmental potential of young children, improving childhood nutrition and reducing experiences with violence during the early childhood years. Researchers from diverse disciplines have identified risks and protective factors within and external to the family that are associated with different dimensions of father engagement and child development outcomes. Despite these advances, little is known about the links between interventions for fathers and childhood outcomes, and what factors within the family mediate these links in families that participate and do not participate in relationship education. This research project, which will span the coming year, will study the associations between fathers’ responsiveness, depressive symptoms and experiences of interpartner violence, young children’s social and language skills and whether social support networks and relationship quality mediate these associations differently. “This award will permit us to examine the impact of early intervention to strengthen paternal involvement with children in a national representative sample of low-income fathers. Our findings should assist in designing more effective intervention programs for fathers,” says Roopnarine. Yildirim, who expects to complete her Ph.D. in 2016, will use the data for her dissertation, which is titled, “The Association between Family Economic Well Being and Children’s Socio-Emotional Outcomes via Paternal Parenting and Stress: A Bayesian Approach.” The recipient of the Child and Family Studies’ Master’s Award for Research Excellence in 2013, Yildirim has several publications in press working with Roopnarine, including “The Mediating Role of Maternal Warmth in the Relationship Between Harsh Parental Practices and Externalizing Behaviors in Hispanic American, African American and European American Families,” in Cultural Diversity and Ethnic Minority Psychology, and “Family Structure and Socialization Patterns in Caribbean and Caribbean Immigrant Families: Developmental Outcomes,” in the book, “Childhood and adolescence in cross-cultural perspective,” (U. Gielen & J.L. Roopnarine, Eds., New York, NY: Praeger). Yildirim is a graduate assistant in the Department of Child and Family Studies, where she is a teaching assistant for the HSH 101, “Freshman Gateway Seminar.” She is additionally working on projects that include a cross cultural comparison of predictors and outcomes of physical punishment and predictors, and outcomes of physical punishment among college students in Turkey. A research assistant for nutrition professor Tanya Horacek on the Healthy Campus Environmental Audit, Yildirim is a participant in the Future Professoriate Program at Syracuse University and a member of the Student Council on Family Relations at Syracuse University.